It has long been thought that it is nearly impossible to utilize C–H bonds for selective organic synthesis. Because the direct use of C–H bonds promises to result in one of the most economical synthetic pathways, it is an area that has attracted intensive interest, i.e., analogous to the Holy Grail. 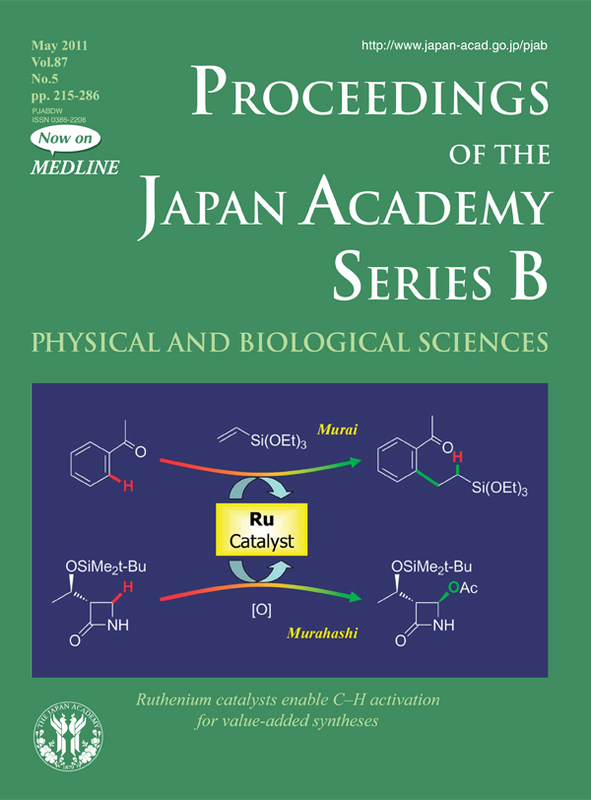 Very effective reactions of C–H bonds utilizing molecular ruthenium catalysts were discovered by Professor Shinji Murai and by Professor Shun-ichi Murahashi. The reaction illustrated at the top shows the direct use of a C–H bond to create a new carbon–carbon bond, an ideally efficient synthetic transformation. To accomplish the same transformation by conventional methods, a series of several reactions would have been required. The work is described by Professor Shinji Murai, on pages 230 to 241. A reaction shown at the bottom illustrates the direct use of a C–H bond in synthesis as well as new concepts for the design of new reactions. New concepts regarding environmentally benign biomimetic oxidation catalysts as well as neutral redox catalysts to replace acids and bases have been explored. A wide variety of catalytic reactions based on these concepts have been developed. The reaction, which simulates the function of Cytochrome P-450, has led to the discovery of a new synthetic method for preparing a common intermediate of antibiotics. This aspect is discussed by Professor Shun-ichi Murahashi, on pages 242-253.